In my early 20s, I received a series of ongoing diagnoses. After countless prescriptions (steroids, pain killers, morphine, water pills, etc) and doctor’s visits, I was still fatigued, experiencing digestive issues, and in a lot of pain–plus I was frustrated with all the dead-ends I found working within the Western system of medicine. I soon realized what I really needed to change was my lifestyle and detox all the chemical and toxins out of my life. I needed to start at the source and realize that what I was putting into my body was deeply linked to my symptoms. I stopped eating soy, gluten, dairy, and sugar along with many other foods that were causing hidden inflammation. I started using organic make-up and cleaning products and stopped using plastic containers. As I started to detox my external life, I noticed amazing changes internally. I felt better than I had in years and I finally felt like my life wasn’t a constant battle with my health. Making a change to a clean lifestyle can be tough, especially if you aren’t motivated by a major health crisis, but the benefits are endless. While everyone has bad days, your body should absolutely feel good MOST of the time, and sadly this isn’t the case for so many people. Even when we’re mindful, our lives can become filled with thousands of toxins, such as pesticides, chemicals, pollution, overwork, unsatisfying relationships, smoking, and sleep deprivation. Some toxins are harder to avoid than others, but what we eat is one aspect of life we have a lot of control over, so it’s a great place to start when we know we need some life changes. Whether you’re increasing your daily servings of vegetables, reducing meat consumption, or opting for all-organic, eating well is a great way to remind ourselves that we are all worth being taken care of. It’s a way of working with our bodies to create a naturally positive relationship. As we ease our struggle with our diets, our bodies, and our health, we free tons of energy that can now be channeled into areas of our life that important to us. It’s my mission to teach others that opening up to a new lifestyle and changing what you eat can be a catalyst for much greater changes in your life and that often, food is the best medicine. I also want you to know that you can experience all these positive transformations while eating amazingly delicious food. 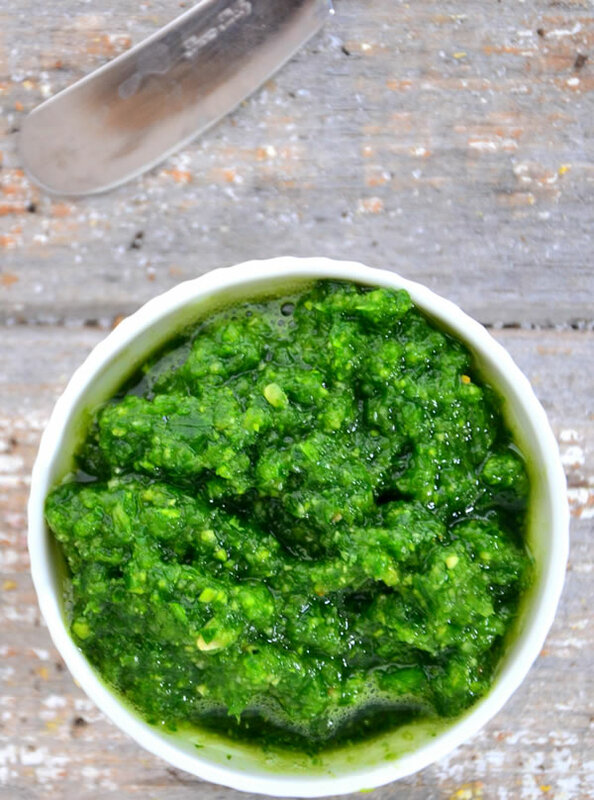 This recipe for Spinach Almond Pesto is one of my favorite dairy-free, soy-free, gluten-free spreads. It’s packed with iron and calcium, protein, healthy fats (you need fat to feed your hormones–please don’t have a fat phobia!) and phenomenal flavor. Plus, it takes just a few minutes to whip up. You can try it with gluten-free pasta, crackers, and wraps, or even as a dip with fresh vegetables. 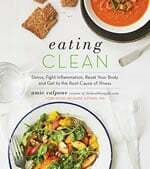 Eating clean isn’t about restricting ourselves from our favorite foods, it’s about embracing all that we can gain when we eat mindfully and work peacefully with our bodies to heal from the inside out. Check out my 10 Day Clean Eating Cleanse for a jump start today. Enjoy! In a food processor, pulse all ingredients until it forms a pesto consistency--smooth yet a little chunky. Transfer to a serving bowl and serve with gluten-free toast or crackers. The other day my sister left quite a few containers of Dannon Light & Fit yogurts in my refrigerator. Her husband had bought in bulk and her kids were tired of them. We ate a few over the next few days, when I decided to just look at the expiration date. They had expird in February 2014 and this was October 2014!!! They weren’t bad, nobody got sick, they tatsed fine… but what the heck is in them that makes dairy last for months at a time. I was so disgusted that we had eaten them, but even more disgusted thinking about what was in them and what it must be doingto our insides. More reason for me to stick with Unprocessed October… and beyond. What a great, and uplifting article. I gotta have this pesto now! 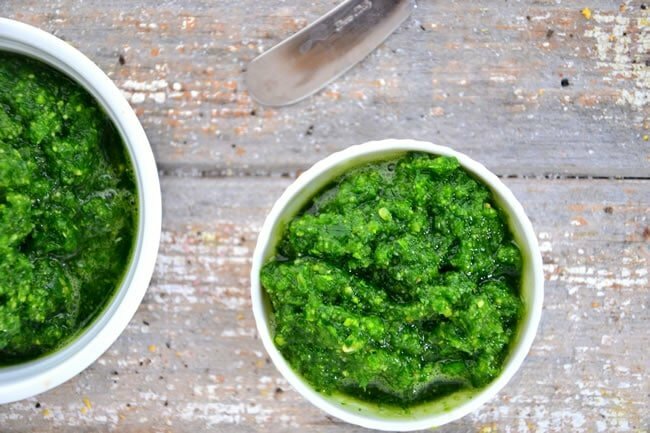 I have some almond paste from making almond milk… Maybe that would work in this pesto? Would be a good use for it perhaps? Very wise response, EL. You are correct– precise and unexaggerated, un-generalized communication is necessary if we wish to be taken seriously. I’ve been turned off time and time again by vague pronouncements and overly emotional, unsubstantial information. Thanks for sharing! This sounds delicious and super easy! I’m trying it tonight! Thank you all for your thoughts and comments! Shawna that is so crazy about the yogurts!! Yikes. Natalie, I haven’t tried using paste but you could give it a shot. Let me know how it is. Xxooo. Thank you all again!